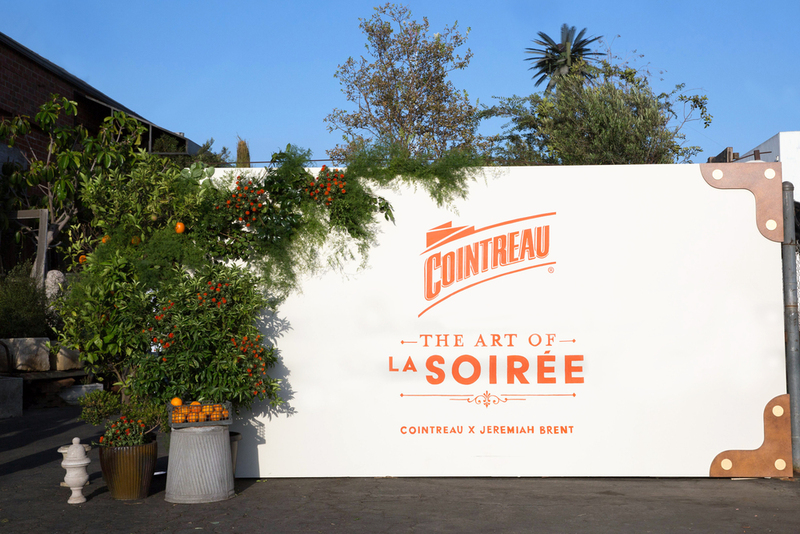 Inspired by interior designer Jeremiah Brent’s globally-minded lifestyle, the second installment of Cointreau’s The Art of La Soirée 2016 Tour invited guests to explore four jet set destinations brought to life at Los Angeles’s Big Daddy’s Antique. From Tulum and Marrakech to Croatia and Vietnam, the evening celebrated the wide breadth of flavors, sounds and entertaining found in each of the sought-after cities designed to transport guests to distant corner’s of the globe. A welcome installation fashioned out of vintage steamer trunks and vibrant orange florals greeted guests while Cointreau’s recognizable hero bar provided a flowing stream of cocktails. In Hanoi, guests enjoyed a selection of street food-inspired delicacies while Morocco offered a progressive tasting banquet complete with savory tangines. The evening was punctuated by a live guitarist who strummed along to DJ Lola Langusta’s chic downtempo set.